He is America’s most enigmatic killer, an unknown fiend who appeared in northern California in 1968 and spent the next year claiming victim after victim, while delivering taunts and threats to the police via the media. Zodiac’s first victims were a couple of teenagers, shot at a lovers lane in Benicia, California in December 1968. Six months later, he committed an almost identical shooting in Vallejo. This time the male victim survived. He attacked another couple at Lake Berryessa in September, although on this occasion he changed his M.O. Wearing a bizarre outfit that included a hood and a circled cross symbol on his chest, he attacked a young couple with a knife. The female victim died at the scene. The male survived, despite suffering eight stab wounds. Finally, the Zodiac showed up in San Francisco in October, where he shot a cab driver to death. During his murder spree the Zodiac sent a number of letters to San Francisco’s main daily newspapers. These letters included four cryptograms, of which only one has ever been solved. Despite several suspects being investigated by police, no conclusive evidence has ever been found to identify the killer. The case is currently marked “inactive” by the San Francisco Police Department but remains open. 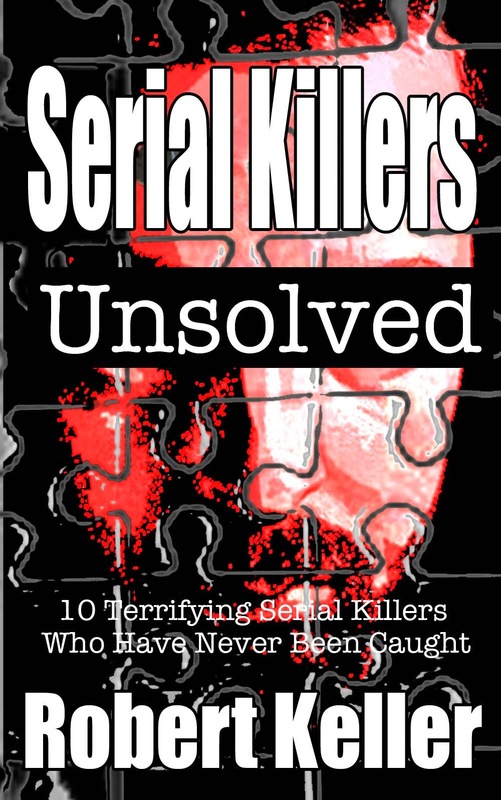 Serial Killers Unsolved Available now on Amazon.